Health is a primary concern that every Filipino family often put into least consideration especially those in the remote areas of the country. They only consult the doctors or go to the hospital if the health risk are already out of hand. The reason is that they rather spend their hard-earned money for other basic needs like food and other necessities. That is why the seasonal medical missions from private and government entities are being swarmed by people because it is their only chance to avail quality health services without spending a cent. Health care is a huge challenge in areas where there are no developed roads and railways. 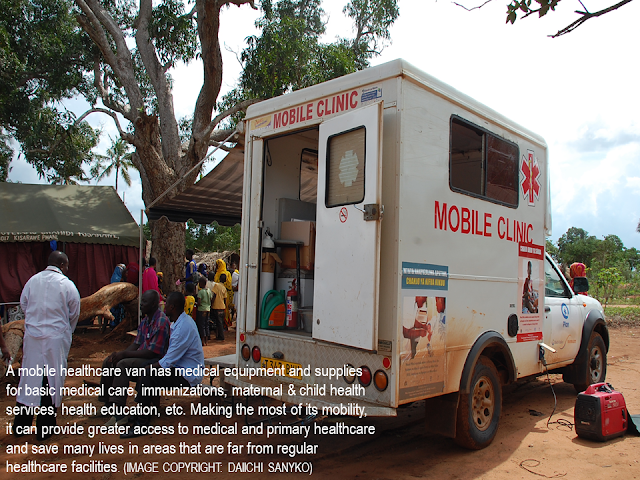 Mobile clinics can penetrate these areas to bring health care and educate the people with regards to their health. 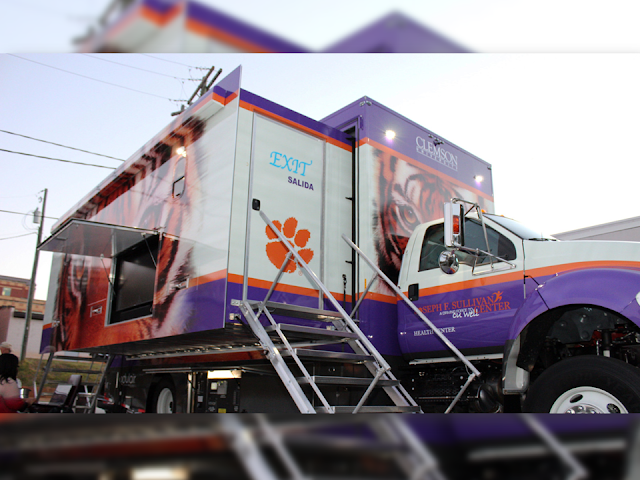 Mobile clinics are doing a great part to fight malnutrition, reduce mortality rate among mother and infants and help avoid the spread of diseases. 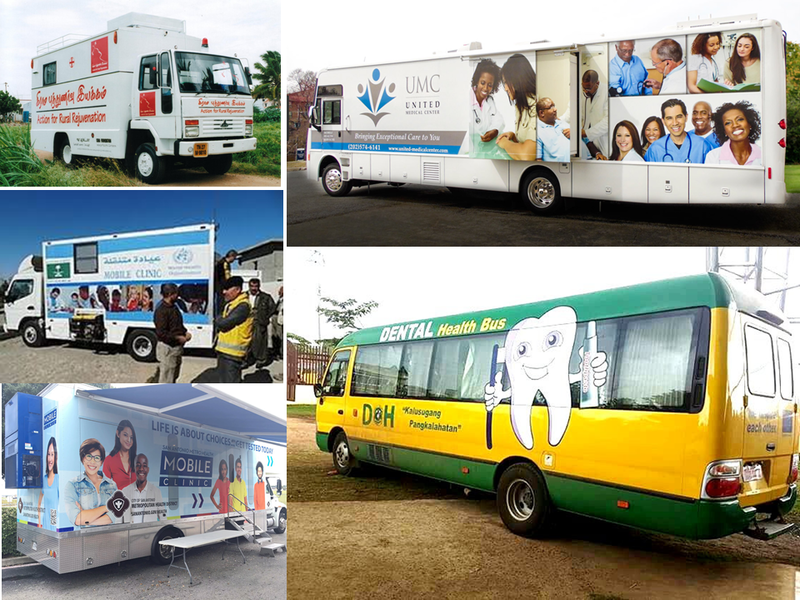 The Department of Health has health buses in operation but the services are exclusively for dental services. 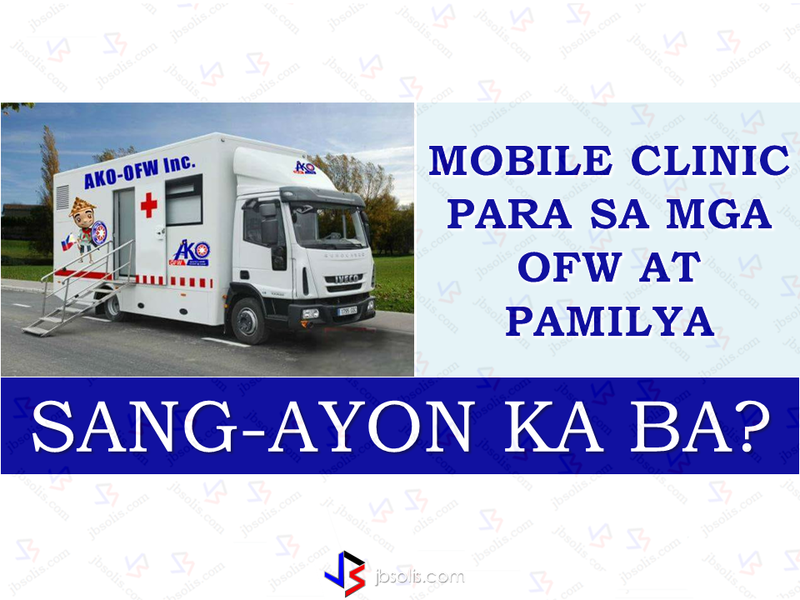 A group of concerned OFWs is now pushing for the establishment of Mobile Health Clinic to provide health services for the Overseas Filipino Workers (OFWs) and their families. 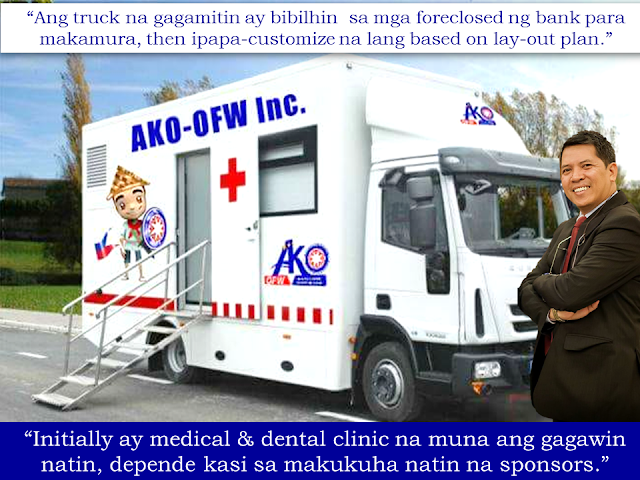 OFW-Ako Founder Doc. Chie Umandap, an OFW based in Kuwait, said "We are now in the process in presenting the concept to our potential sponsors." "Our objective is to have the mobile clinic visit the areas where there are concentration of OFW families based on the record of POEA and other agencies," he added. They are spearheading the Mobile Health Clinic project with the help of government agencies such as PAGCOR, OWWA, PCSO and Philhealth . AKO-OFW is a group of advocates from various parts of the world bound together to protect the rights & welfare of OFWs. The group which consists of OFW advocates, believe that the mobile health clinic can be a great help to the families of the OFWs who are in remote provinces and areas with a large concentration of OFWs. "We intend to invite the following GOCC and agencies : PAGCOR, OWWA, PCSO to provide apparatuses and Philhealth to help us in sustaining the medicines," Doc Chie Umandap said. Determined to realize this dream to bring quality health services to the OFW families, Doc Chie said that he already sent a dental chair in the Philippines which is to be donated for the use of the mobile health clinic. Initially, the mobile health clinic will provide medical and dental services and it will all depend on the provision of the sponsors. Should Every Car Have A Dash Cam? OWWA Warns The OFWS, Beware Of Fake News!